This trip report will be in a similar format as the recent Icelandic one, with me doing the bulk of the writing and whYME and Cat In The Hat adding their thoughts, pictures, and commentary. As with Iceland, color coding will help maintain an easy flow. So without further ado, here it goes. [Something Fishy] Like many, I've always had a powerful urge to document and photograph that forbidden and mysterious island, Cuba. So close, yet so far. A mere 90 miles from the United States, Cuba has been off-limits to US citizens since President Kennedy imposed a complete trade embargo in 1960. While non-Americans have always been able to visit, for U.S. citizens it's always been an out of reach dream. Technically, the issue is not traveling; that's allowed. The problem is spending money there. The Treasury Department - whose responsibility it is to enforce the embargo - (rightfully) claims that it's impossible to go to Cuba and not spend money, ergo you may not travel there. For many years now there has been a list of 12 allowed categories, which allowed you to visit Cuba if you fit into one of them. For example, visiting immediate family in Cuba, doing research, humanitarian, or journalistic work, and so on. The loophole that allowed ultra-expensive group tours to go was the "People-to-People" cultural exchange category. In such a case, you must remain with the tour group at all times, and you were only allowed to do "approved cultural activities" - take a salsa class, meet schoolchildren, and so on. 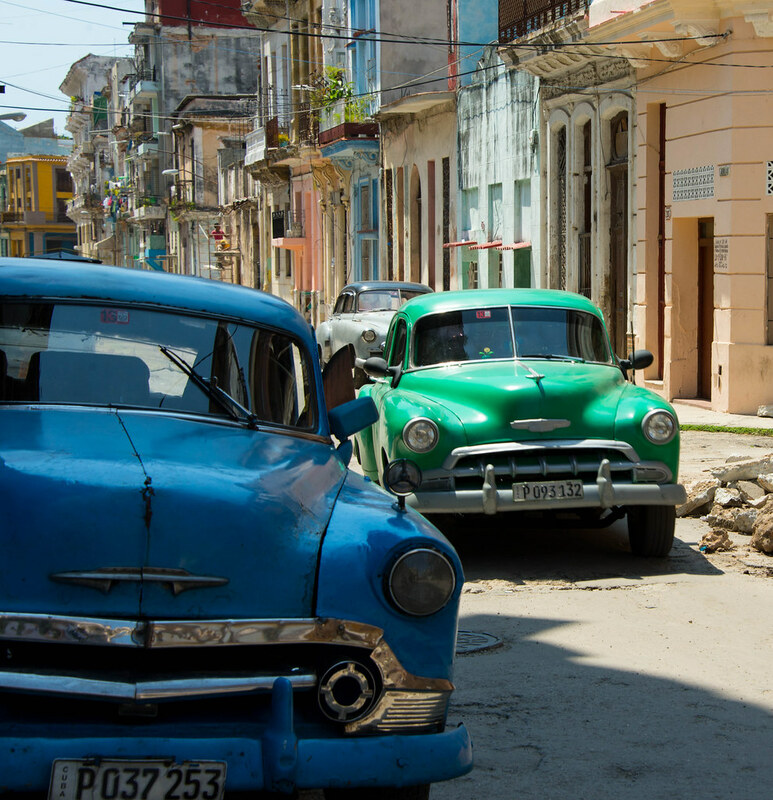 For decades, this was the only legal way to visit Cuba as a tourist. But by early 2015, big changes were afoot. In January, it was announced that travel restrictions will be somewhat eased; in July, President Obama would announce the renewal of diplomatic relationships with Cuba and the imminent mutual opening of embassies. The important part - for me - was the news that going forward, U.S. citizens could self-certify an affidavit that they belong to one of the 12 categories, throwing the journalistic window wide open. In the past you needed to have a legitimate press card, assignment, and Treasury Department approval to get the waiver. Now, you could sign a piece of paper and be good to go. I instantly bestowed upon myself the title of DDF Travel Writer, declared that I'll be writing a trip report, and began planning this trip . With restrictions easing, I know it was just a matter of time before direct flights from the U.S. were announced, and business opportunities opened. It wouldn't take long before there was a McDonalds and Starbucks on every corner, and the last vestiges of the Cuban time capsule were erased. Unquestionably, the time to go was now. Not all was smooth sailing, though. I discovered a more formidable foe than the U.S. Government, in the form of my wife . She absolutely, flat-out, refused to go to Cuba. It didn't interest her as a destination, it was kinda dangerous (Alan Gross had just been released after being held for five years in a Cuban prison), and the fact that the trip was only quasi-legal didn't help either. That Shabbos, we were invited for a meal by Cat In The Hat. CITH is a good friend of mine, who has come with me on multiple photography trips (see my Wyoming and Maine TRs for example). I convinced him to create an account before this trip, but he's not very active here on DDF. Like me, he'd harbored a long burning Cuba bug, and was mightily excited about the recent news. During this Shabbos meal, we were discussing the fact that neither of our wives are remotely interested in going, when the ladies exchanged an exasperated look and said in unison, "If you two want to go so badly then go together! Just leave us out of this." And just like that, the trip was on . I can neither confirm nor deny that this Shabbos meal was all collusion between CITH and I . As soon as Shabbos was over, I called whYME - who I knew was itching to go to Cuba as well - with the good news that the trip is likely a reality. It didn't take ten seconds and I had him - once again - hooked on a Photo DO . [whYME] Well I was hooked in seconds, but let's just say my discussion about it with my wife didn't go quite as planned. "CUBA?! No, not Cuba. Anywhere but Cuba!" Apparently she had also been reading about Alan Gross and was convinced that if I went to Cuba I would be spending the next ten years in a Gulag. And thus began a convince-my-wife-that-Cuba-is-safe campaign. One morning during this time my wife showed me a news story, that there had been a stabbing not 200 feet from our front door during the night.She looked at me strangely when I burst out laughing at this news, so I showed her a Whatsapp Something Fishy had sent me the night before that I needed to tell her that Cuba is safer than Crown Heights . Eventually she was convinced that Cuba is safe enough (well, as long as you're not smuggling in illegal telecommunication devices) and I was given the OK to go. To this day I wonder if maybe instead of pushing Cuba I should've taken advantage of "anywhere but cuba" and leveraged it for something bigger. Like maybe Antarctica? . [Something Fishy] With the group finalized, it was time to find flights. At the time there were no flights between the U.S. and Cuba, save for a few uber-expensive charters. We needed to find a roundabout routing, preferably using miles. After a ton of research, it seemed that the best available options were on Aeromexico via MEX or CUN using DL miles, AC via YYZ in rev (AC does not allow point redemptions on that flight), or Copa (CM) via PTY using *A miles. With DL wanting around a trillion miles plus one (1) firstborn son, and AC wanting real, actual money (horrors! ), CM was looking the most attractive. Right away though we began hitting roadblocks. United.poop wasn't showing a single flight to Havana - even on partners -, likely because they themselves weren't allowed to fly there. On the phone, every agent insisted that even though they can see the availability, they cannot book it. Trying United's Mexican office, they were able to book it, but not on points. After a whole lot of trial and error, we discovered that if you manually select to show only Copa flights on Avianca's Lifemiles site, you could force it to show availability. Once we found the flights we wanted, we discovered that SQ will be more than happy to issue the tickets for us. [whYME] I had a bit more trouble here. I was unsure whether I would want to fly from BOS or JFK, so I wasn't quite ready to book yet when they were booking. Ultimately I decided I would fly from BOS and return to JFK. But by the time I was ready to book, the PTY-JFK that the other guys were on was no longer available, so I booked one for the following morning hoping that the other flight would open up. I would be arriving in PTY 5+ hours before the other guys, and if I couldn't get on their flight for the return, spending an extra night there. [Something Fishy] The final routing (yellow) was slightly bonkers, as we would be going nearly 2.5x the distance as JFK-HAV direct (blue). But if this was the price to pay, so be it. On the upside, this routing gave us a full day to explore Panama on the way home. With flights sorted and out of the way, it was time to find a place to sleep. There are two main lodging options in Cuba: hotels or what's called a casa particular. Up until around ten years ago, no Cuban was allowed to engage in any sort of private enterprise; everyone worked in government factories, government groceries, and so on. But the Castros have slowly been opening up limited economic opportunities for citizens, and among the first reforms was that people were now able to rent out their houses or rooms to others. This created a market where private people were able to put up tourists in their homes, which got dubbed casa particulars (Hipster Cuba did vacation rentals before it was cool, apparently). Looking at hotels, we found an incredibly limited selection, split pretty evenly between $150/night hole-in-the-walls and $500/night ultra-fancy places. With neither option being very appealing, we decided to take a casa. Luckily for us, Airbnb had just announced that they're beginning operations in Cuba, with over 1000 casas available from the get-go. It didn't take long and we found an ideal place: it was in the heart of Old Havana, all of 100 feet from the national capitol building ("El Capitolio"), it looked nice and clean, and most importantly, it had AC. The listing even claimed that there was Wi-Fi, a true rarity in Cuba. It cost $39/night, which worked out to the princely sum of $13 per person. The booking process was a little different than usual, as Airbnb would not confirm the stay until everyone in the party filled out the affidavit through a special link they sent us. Other than that, the booking was perfectly painless; it was just like booking a place in the U.S. The big question was what - if anything - could be bought locally. Obviously, there would be zero kosher food, but we were hoping to be able to drink something other than water and maybe get some local produce as well. The problem was that when searching online, half the internet claimed that there were fruit and vegetable carts all over town, while the other half insisted that they weren't able to find a single piece of produce. Turns out a colleague of mine had gone to Cuba a year before on a cultural exchange program, so I want downstairs to find out what I could expect to buy locally. According to him, there was produce easily available, as well as Coke products. Two bits of good news - I just hoped that he was right. In the end, we brought along rolls and wraps, PB&J, Tradition soups, granola bars, and tons of snacks (rugalech, chocolate, nosh, things like that). For protein, we took a mountain of tuna from Chicken of the Sea, hoping against hope that it was "national brand" enough for Cuban customs . [whYME] I personally was willing to take the risk that the heimishe tuna was"national brand" enough for Cuban customs so I went with that. Supplemented with local fruits and veggies, it wasn't looking too bad after all. The visa situation was unclear as well. In the U.S., plenty of tour companies are happy to sell you a visa for $85, but only if you fly with them. Flying on our own, it was unclear how and when to obtain it. After much research, it appeared that they sell it at the airport in Panama for all of ten bucks. Transportation-wise, we would be using taxis. Renting a car is possible, but the cost is exorbitant, the roads in pathetic condition, and the cars garbage. 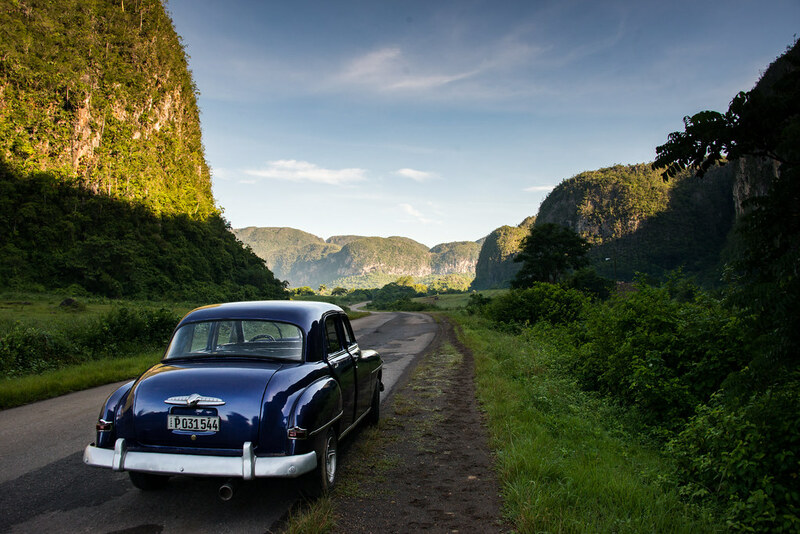 Most importantly, by Cuban law, if you're involved on a motor vehicle accident, you are not allowed to leave the country until the case is settled, which could take months. The fact that the bulk of the taxis are lovely classic American cars didn't hurt that decision either. Our itinerary for the trip was purposely left very fluid. Even though Cuba is a fairly popular spot for Canadian and European tourists, there was a surprising dearth of practical info available online. Being that the goal of this trip was to photograph and document everyday life in Cuba, our plan consisted of basically wandering around Old Havana, observing, shooting, and interacting with the locals. 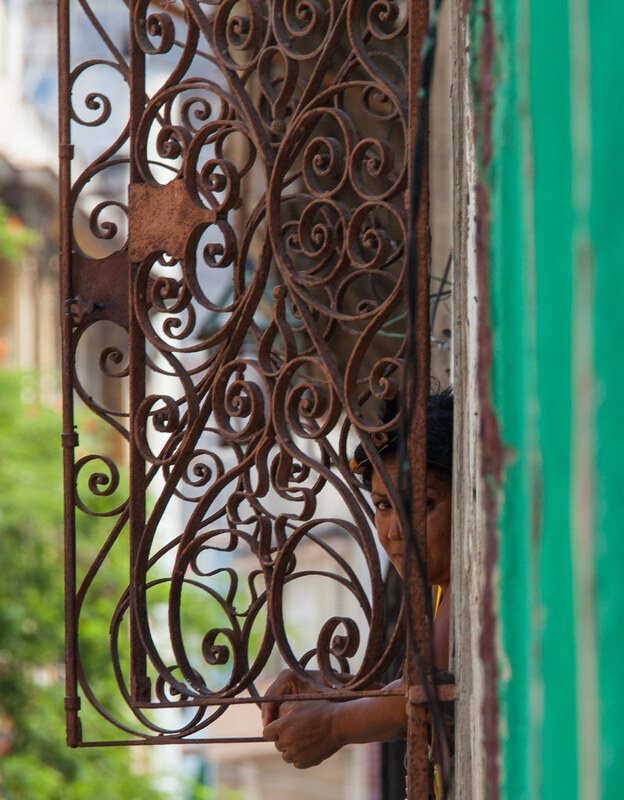 Many visitors to Cuba go to more than just Havana. The beaches of Varedero are legendary, but being that we were on a journalistic licence we weren't allowed to go to beaches (and as it turned out, we could've gotten into serious trouble upon return had we taken bathing suits along. But that story will have to wait ). Another popular option is to fly to Trinidad de Cuba, but it was too similar to Havana to interest us much, plus the timing simply didn't work out. In the end I discovered Vinales. Supposedly a two-hour drive from Havana, this is real, rural Cuba. This is prime tobacco-growing country, and of astounding natural beauty. Hopefully, we'll find a taxi driver who could take us there for the day for a change of pace and scenery. Finally, the plans were made, the paperwork filled out in triplicate, and I promised my wife - again - to try and stay out of trouble and out of jail. We were ready to travel back in time. I feel like instead of "Viva La Revolución!" maybe the title should've been "agua fría"
ETA: We gotta stop with these inside jokes or we're gonna get stoned here . @Everyone else: this TR will be substantially faster than the Iceland one, so rest assured that you'll understand the meaning of these corny jokes before too long. I hope Fishy and whYME did something on the trip to piss off C.I.T.H; like this, the next episode could be titled "Revenge of the Cith". Awesome. The reason why you won't find any information on traveling to Cuba from Canadians is that they all go on all inclusive programs to sit on the beach, drink and smoke pot for a week. Awesome start, can't wait for more. Amazing picture tease! Looking forward to the rest.... Thanks for sharing! Very enjoyable. Keep it coming!